Strayer University GRAND OPENING! 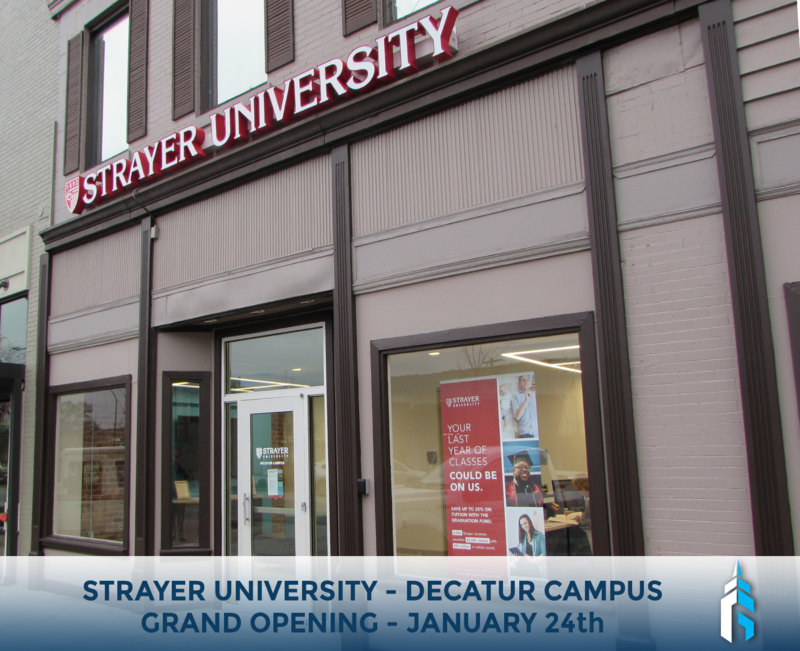 | Gateway Commercial Brokerage, Inc.
Strayer University Decatur Campus is ready to open up for business! Their grand opening will be January 24th! Make sure to stop by and welcome them to our downtown area, and thank them for making the choice to invest in Decatur! Special thanks to Michael Nance who leased Strayer University their new space, and was active in construction management as they built out their new facility.